Nobody in his right mind wants to fail. It is a fact. But in the online world, the number of individuals who have failed greatly outnumbers the number of individuals who have made it. Though we don’t want to fail, the reality is that many online entrepreneurs tried and only a few have succeeded. So, what are the reasons why online entrepreneurs who are willing to invest capita and time on their websites/blogs have become failures? Sure, there are a number of helpful materials and information available on the web. Finding them, however, is not easy. There are only a handful of really influential leaders out there and finding them among the see of self-proclaimed experts can be difficult. Find a good mentor/s and listen to him/them. These experts will help you navigate your online business through uncertain territory. Stay away from self-proclaimed experts who have not established solid reputation online. In many cases, listening to the wrong advice can be a pitfall if you fail to immediately rectify your mistake. The comforts of getting a fix monthly wage can be very enticing that online entrepreneurs may find it difficult to walk away and find their true passion. Indeed, many aspiring online entrepreneurs have refused to venture into business because it is too risky for them. Try to find a way to fit your online business into your busy work schedule. Make it a part of your daily routine. Doing something that you love should never be a burden on your part. Once you accepted a project and agreed to deliver it within a specified time, you must exhaust all efforts to meet your deadline. Failure to meet client’s expectations and even standards contributes to the failure of an online entrepreneur. Accept only those projects which you can handle or get help from fellow online entrepreneurs. There are risks associated with any business venture. Personally, try to do this as a hobby first or as a side job. Try to find out if this is what you really want before you venture into online business full time. 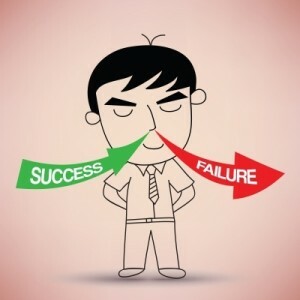 Do you think there are other reasons why online entrepreneurs fail?